Award winning Australian vocalist Emma Pask is heading back to Camelot Lounge! Nominated for an ARIA award for Best Jazz Album of the year she is super excited to be hitting the road again and sharing her music with you all. Emma’s effortless honest stage presence combined with her powerful vocal ability leaves audiences spellbound and inspired. She is sure to delight as she interweaves storytelling through timeless swinging jazz standards, upbeat Latin rhythms, original material, tender ballads, all wrapped up with some raucous grooving blues. By request Emma has performed for adoring audiences including Nicole Kidman and Keith Urban and Diana, the late Princess of Wales. She has played support for George Benson on his Australian tour and with Latin Superstar Ricky Martin singing her praises, you won’t want to miss her live in action. 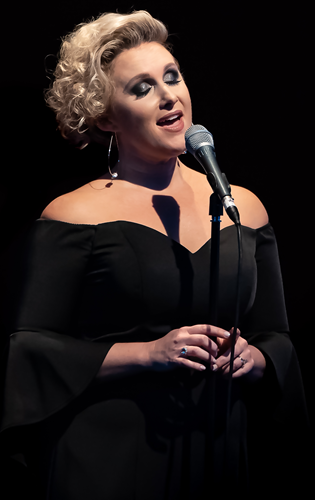 Well known for spending the last 20 years by the side of jazz virtuoso James Morrison, Emma Pask has firmly established herself one of one of this country's favourite voices in Jazz.